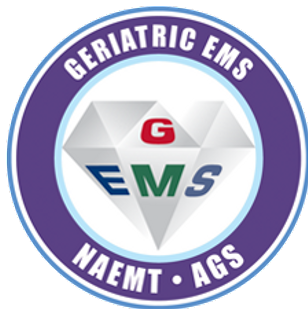 Geriatric Education for EMS - GEMS is a classroom, PowerPoint, Scenarios, Instructor-led course from the National Association of Emergency Medical Technicians that provides practitioners at all levels the skills and knowledge to handle the unique medical, social, environmental and communications challenges of older adults. Developed in partnership with the American Geriatric Society, this course will help improve medical outcomes and quality of life for geriatric patients. This program is designed to train emergency and mobile healthcare practitioners to deliver state-of-the-art care to geriatric patients. 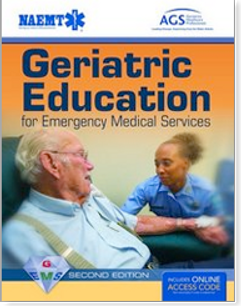 A highly acclaimed program that addresses the geriatric-specific topics and competency statements in the National EMS Education Standards. GEMS is unlike any other course as it will open your eyes to the world and allow you to see through the eyes of older adults what getting old is all about. AUDIENCE: This course offers a basic Core course and an Advanced course for EMS, Firefighters, First Responders, Rescue Personnel, Nurses, Nurse Practitioners, Physicians Assistance, and Physicians. COURSE FORMAT: This classroom-based course which includes instructor, PowerPoint, and skill interaction throughout the course. The Basic Core course is approximately 8 hours (one day) in length. The advanced course is approximately 8 hours (one day) in length. PowerPoint-based course to ensure continuity, consistency, and "REAL WORLD EXPERIENCES"
CERTIFICATION: Upon completion of this course, students receive an NAEMT GEMS or Advanced GEMS certification and completion card that is valid for 4 years.